Check out Korea Daily San Diego's monthly journal, San Diego Korean-American Community Magazine, February 2013, p. 97, for profile on the Alliance. Become Friends/ Corporate Friends of the Alliance! Click for donation form and levels of support. 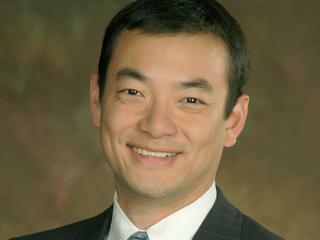 Click for 2013 donations to the Alliance. Congratulations to champions of Festival 2013 dragon boat races! 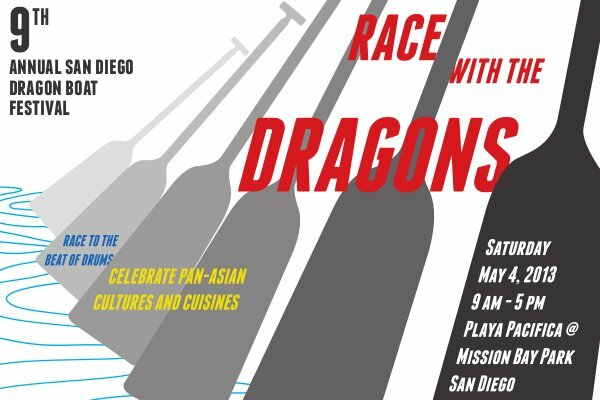 The San Diego Dragon Boat Festival is supported in part by a grant to the Alliance from the San Diego County Community Enhancement Program. 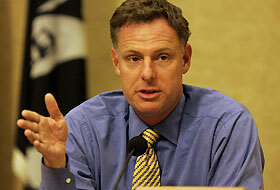 Our deepest gratitude to San Diego County Supervisor Ron Roberts, District 4. 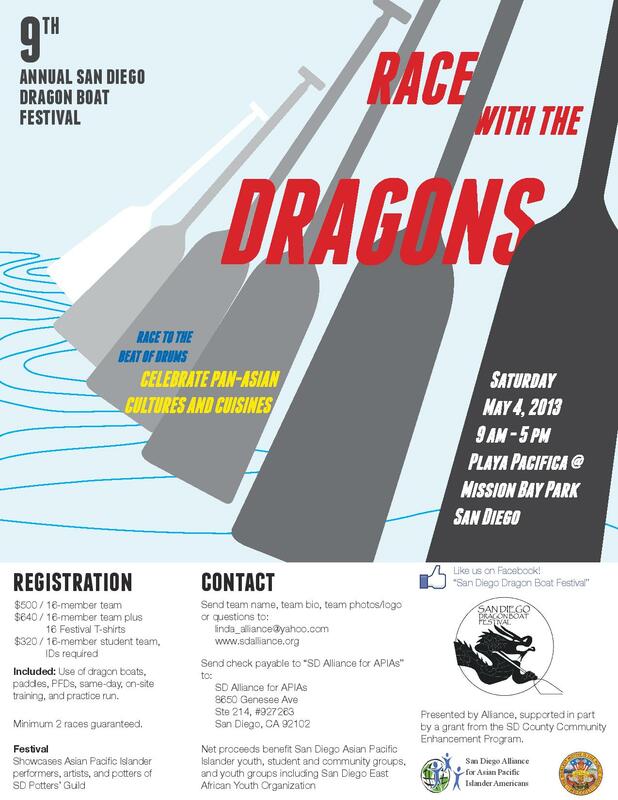 Alliance is proud to announce our 9th annual San Diego Dragon Boat Festival, to be held Saturday, May 4, 2013, 9 am - 5 pm, at Playa Pacifica in Mission Bay Park. Whether you race with the dragons, or cheer them on, Dragon Boat Festival is fun-filled, healthful, environmentally-friendly, and free and open to the public. Registration deadline extended to Monday, April 29!! Dominic Lee 李大明 reports on 9th annual SD Dragon Boat Festival in World Journal 世界日報's ePaper 世界電子報 epaper.worldjournal.com, 5/7/2013.